A few calm days are ahead teaching through in Courmayeur but here in Chamonix conditions couldn’t be better. Last week saw a group from the tour company Jagged Globe that had awesome skiing. A few days of low cloud didn’t matter as the rocks are so well covered you can ski anywhere! Yesterday was with a chap who’d flown from Sydney to see if these reports of great snow were true, as the above photo shows, he wasn’t disappointed! By 1130 we’d done 2 laps on the Grand Mur skiing the central gullies (that usually are too rocky) in top of boot deepness. He was happy and I wasn’t feeling too shabby either. 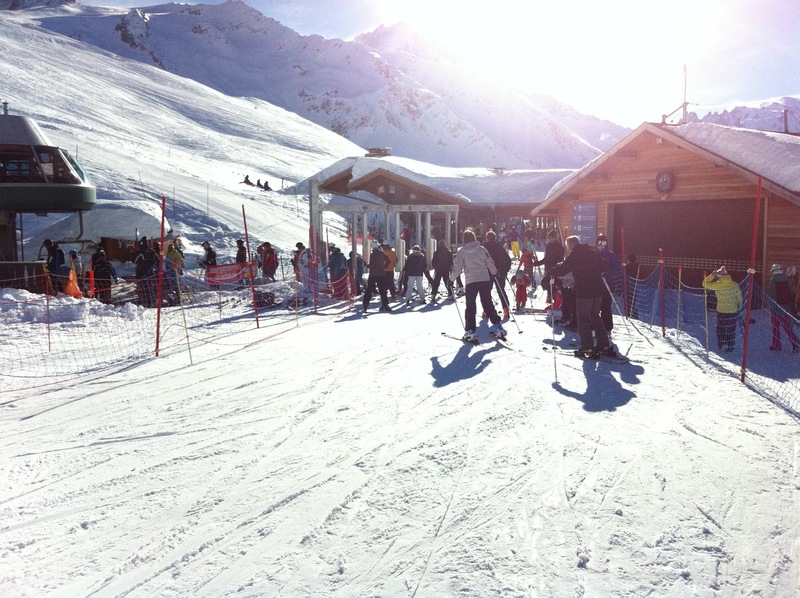 By midday we’d skied 3800m of descent in only 3 runs – the beauty of the Grands Montets! Despite not having snowed for one week, it’s surprisingly good still. Ok we could do with at least one more dusting but there aren’t any rocks showing through on the piste yet. Yesterday we were at Le Tour for a warm up day. That was sun affected on the Southern facing slopes (so hard and unpleasant underfoot), but venturing off-piste, we found some untracked slightly heavier snow on the ‘Garland’, Vallorcine side, but hiking the Arollette (repeatedly) doing the North facing couloirs from the summit down towards the lake was fantastic. Today we’re at the Grands Montets. Chalky snow, semi hard bumps, fantastic grippy pistes. It’s great stuff. No-one around other than the French ski instructor groups and the buyers for next seasons Dynastar ski range. Roll on the next snowfall. 40cms was advertised having fallen at Lognan, but we didn’t see proof of that. At the top if the Bochard though I coild believe it. A few laps of the Lavancher bowl with one down the middle being just fantastic. A big smile from the group said it all. 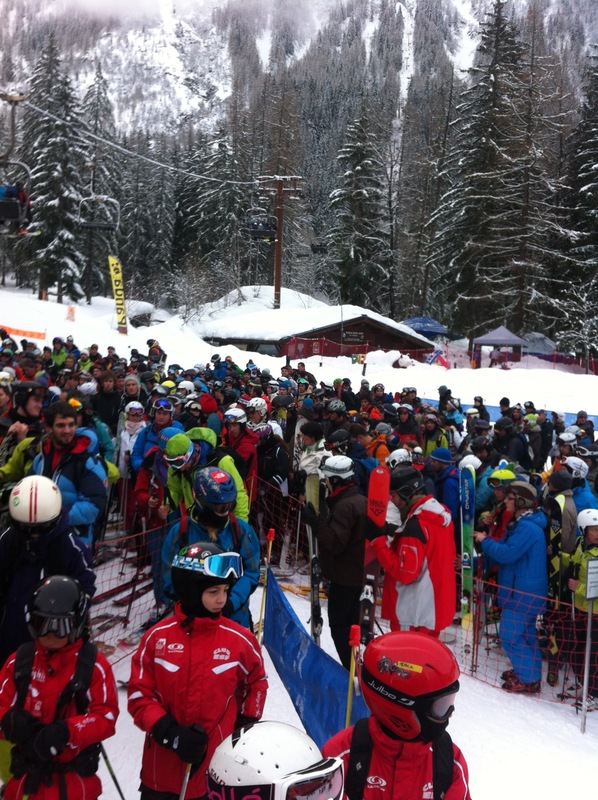 The much awaited opening of the ‘rest’ of Chamonix happened yesterday. Ok, the weather got worse as the day went on but we had excellent skiing. A couple of runs on the front-side before heading into the back bowls towards Switzerland where the snow was untracked. A few things are new for this season, a new turnstile for the Autannes chair, a couple of very high tech snow cannons at the bottom of the Evettes piste and the permanent timed slalom piste (heavily sponsored) under the Autannes chair too. A fantastic start to the season at Le Tour!